This Wednesday’s game at Anfield will be on LIVE at George Keeley’s here in NYC. If you haven’t scheduled a Doctors appointment to get out of work yet, get on it! 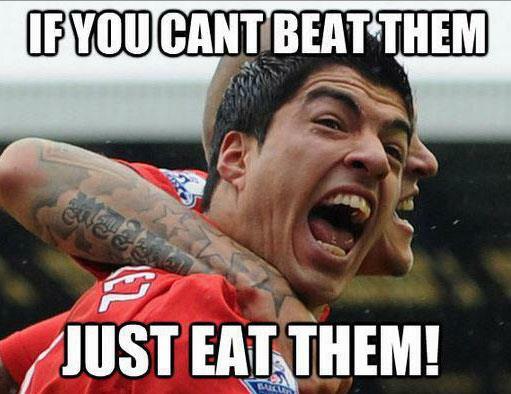 Hopefully Luis Suarez can be contained this time around and won’t eat Ryan Bennett or Sebastian Bassong. I’ll see you at Keeley’s on Wednesday – WOOOOOOOT! ← Norwich v Crystal Pulis @ FF.